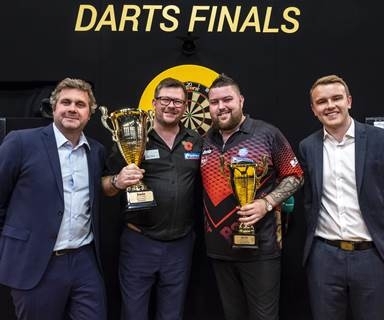 There was joy for James Wade and despair for Michael Smith in a dramatic World Series Final in Vienna. 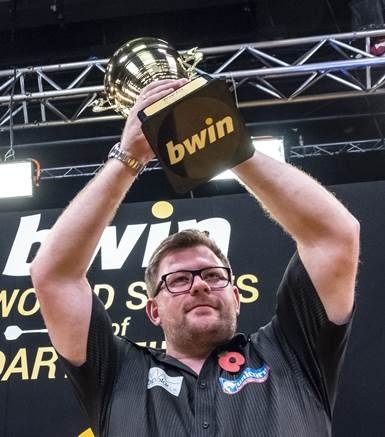 Wade saw Smith miss five match darts to claim a thriller 11-10 and was clearly emotional afterwards as he made it back-to-back TV titles following on from his superb European Championship triumph. For Smith, a case of what might have been and you have to feel for him. He was tantalisingly close to a first big TV title. It was an action-packed thriller and Smith was that close to the success he’s been craving. Wade raced into a 3-0 lead before Smith got a foothold in the final with a sublime 140 check-out. The pair then exchanged some brilliant darts before an 11 darter from Smith drew him level at five apiece. ‘The Machine‘ hit back with a 12 darter and a 100 finish and then made it 7-5. The St Helens star was soon level again after a sensational 170 finish! Then it was Wade’s turn as he took out 112 to lead 8-7. Smith reacted to make it 8-8 and a 12 darter saw him lead for the first time in the final. The lead didn’t last long because Smith missed doubles and Wade hit D10 with the last dart in hand. We then witnessed an extraordinary 20th leg. Wade managed to bust 121 as he was throwing for the match. However he did come back and blew two match darts himself! Smith dramatically levelled at 10-10 and when he hit a fifth 180 in the decider, it looked all over, but maybe the nerves kicked in and he missed five darts at ‘tops’ D10 and D5 for the biggest win of his career and up stepped Wade to hit D18 as that was that. Smith was gutted but will come back from this without a doubt. His time will come. Earlier in the day Wade was too good for Jamie Lewis, hitting seven 180s in a 10-5 win. He then demolished Raymond van Barneveld 11-2 in the semi-finals, hitting 11 doubles from only 17 attempts. Smith will be desperately disappointed but he can still be very proud of his efforts in Vienna. He thrashed Dave Chisnall 10-5 and then saw off a Gerwyn Price comeback to win his semi-final 11-8. Smith won it with a superb 126 finish.